I’m ecstatic that InsideOut/Century Media and Mike Portnoy have joined ‘forces’ with BIGELF. First, I want to elaborate on what has been happening ‘inside’ the band since 2010, there have been numerous rumours on the internet that I fired everyone in BIGELF, this is completely untrue. After the juggernaut of ‘Cheat The Gallows’ came to a halt, the business and personal infrastructure of BIGELF imploded and an unexpected hiatus occurred leaving the band in complete disarray. A myriad of personal, financial and domestic matters had enveloped myself as well as certain members of the group. There also comes a time when deep down inside it just doesn’t feel right anymore, and one has to face the music that the end is near. Transparency no longer exists and with that, clarity and perspective are lost. I’m speaking for myself now but clearly this was a mutual feeling and I believe it was obvious amongst the band. 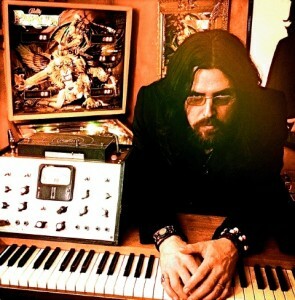 Subsequently, Ace Mark decided to move on and left BIGELF in the summer of 2011, and a request by the remaining members for a dissolution of business followed. To put it simply, we went our separate ways without malice. I had been keeping in close touch with Mike Portnoy after his very public and difficult departure from DREAM THEATER. At this time, my musical future seemed quite bleak and I was very vocal to Mike about not being able to sustain the band any longer on my own. He implored me to carry on and to not let BIGELF slip away, his encouragement and enthusiasm meant the world to me. Recognizing that I needed some new allies, I asked him if he would help fight the good fight and lend his extraordinary drum majesty to the new BIGELF record and he readily agreed. Also…sharing a passion for all things rock & roll, my good friend Duffy Snowhill climbed aboard the Viking ship for another round of thundering bass guitar and for that too I am grateful.